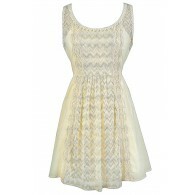 This is a fun, detailed dress to wear on your next night out with friends! The Lovely and Layered Tiered Designer Dress comes in two great color options. It is fully lined and has a strapless sweetheart neckline with a lightly padded bust for support. The best part of this dress is the tiered layers that decorate the front of the dress, adding dimension. An invisible back zipper completes this dress. The Lovely and Layered Tiered Designer Dress is perfect for your next night out and would look great paired with heels or pumps and some pretty jewelry. Also available in Black. Fit note: This dress runs very short. Details: Fully lined. Lined and lightly padded bust. Hidden back zipper. 92% polyster, 8% spandex. Lining: 100% polyester. Hand wash cold separately. Do not bleach. Iron low. Lay flat to dry. Small measurements: Length from top of bust to hemline: 26”. Bust: 32”. 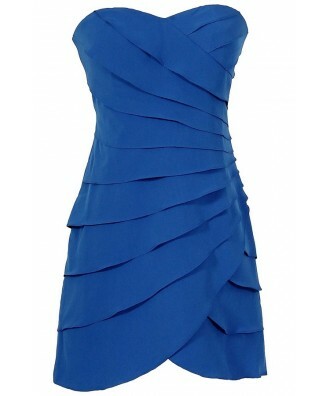 You have added Lovely and Layered Tiered Designer Dress in Bright Blue into Wishlist. 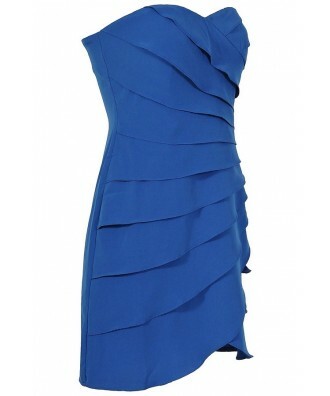 You have added Lovely and Layered Tiered Designer Dress in Bright Blue for Stock Notification. 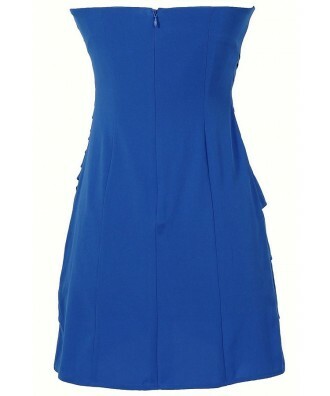 You have set Lovely and Layered Tiered Designer Dress in Bright Blue as a loved product. 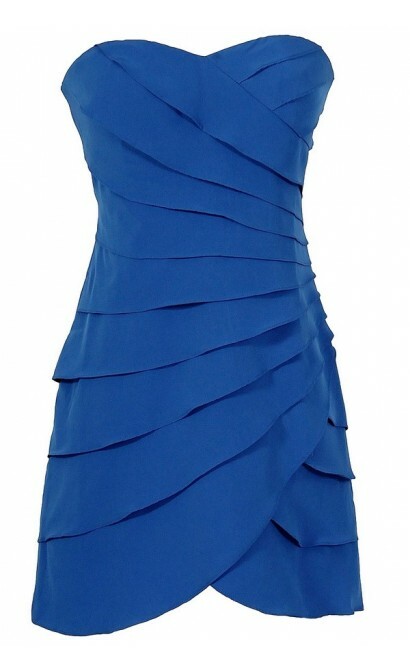 You have removed Lovely and Layered Tiered Designer Dress in Bright Blue as a loved product.